The housing charity Shelter is set to be hit by a three day strike next week as Britain’s largest union, Unite announced that 400 of its members would be walking out from Tuesday 16 December over pay cuts of up to £5,000 for frontline staff. Amid warnings that ‘cut rate pay’ will lead to a ‘cut rate organisation’, the advice and support workers are angry over the imposition of a new pay scale at the charity leading to pay cuts of up to £5,000 for new starters, with the pay of current frontline staff only being guaranteed until 2016. The action, hitting the charity’s advice and support work, was backed by two thirds (69.2 per cent) of those taking part in a recent strike ballot and follows a continued refusal by Shelter management to negotiate meaningfully. In addition to pay cuts for new frontline staff, the proposed pay changes have left the charity open to accusations of creating a two tier workforce. The new pay scale only affects frontline staff and will see some advice workers earning several thousands of pounds less than non-frontline colleagues working on the same grade elsewhere in the charity. Shelter’s main offices in London, Glasgow and Sheffield as well as smaller ones in cities such as Manchester and Bristol will be affected by the three day strike, which starts at 00:01 hours Tuesday 16 December and concludes at 23:59 hours on Thursday 18 December. 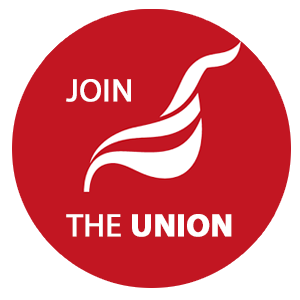 Unite regional officer Peter Storey said: “Our members care deeply about the help they give and the people they support. They are fearful that ‘cut rate pay’ will lead to a ‘cut rate organisation’ as managers struggle to recruit experienced replacements on the new lower rates of pay. “Shelter’s frontline support and advice workers are the lifeblood of the charity and deserve better than pay cuts while those with huge salaries at the top see their pay protected. “It will soon be fifty years since I was first involved with Shelter. Over that time the work Shelter has done has been invaluable to many, many homeless people. However, I now support absolutely the call for strike action to resist wage cuts for new front-line staff. People who work for Shelter are caring, committed and skilful. They should be paid accordingly. The thoughts of one Shelter worker about the impact of slashing pay…. The costs that can't be measured in pounds and pence... one worker shares their thoughts on why this should not happen. "When I heard that Shelter was considering reducing pay I was disappointed but sadly not surprised. This is an all too familiar story and one that I’ve encountered in previous organisations I’ve worked for, as well as something I’ve heard anecdotally from other people working in the support and advice sector. There is no denying that the economic and political climate means that the ‘market’ in which Shelter’s services operates is an increasingly tough one in which organisations are tendering competitively for smaller pots of money. Cutting staff costs is one way to remain ahead in this race. But there are consequences to making decisions like reducing wages which go far beyond the fiscal. I have seen the impact that these sort of decisions can have on services; demotivated staff, resentment between staff being paid less to do the same job as their colleagues, good staff leaving their posts or even the sector because pay looks like it will only ever go down, and services that have to be reorganised to be delivered at a lower cost, leading to increased workloads and a poorer service for clients. We are a charity and of course we should look to do things as efficiently and effectively as possible. But the costs which can’t be measured in pounds and pence should also be taken into account. At Shelter we are in a unique position. We are a large charity, with a strong voice and mixed income streams. Rather than joining the race to the bottom we should stand apart and ensure that we continue to deliver quality services for clients, value our staff and maintain our reputation." As a worker at St Mungosbroadway who recently went on strike I applaud the action of our colleagues at Shelter for striking. Stay strong, be prepared to go out for longer and make as much noise as you can. Attend as many picket lines and demos as you can, you will be galvanised and given a strength of purpose by your fellow strikers. Don't be too down on those that did not strike the first time, you have to persuade as many new members as you can between now and future actions. Unite we're incredibly supportive of us and it meant that we were less easily bullied. Market median rates are a way of taking money from the front line and has no place in social care. Good luck.